AMMAN — Her Majesty Queen Rania has lent her support to Google in the launch of its "biggest Street View capture yet in the Arab world", a statement from her office said Monday. 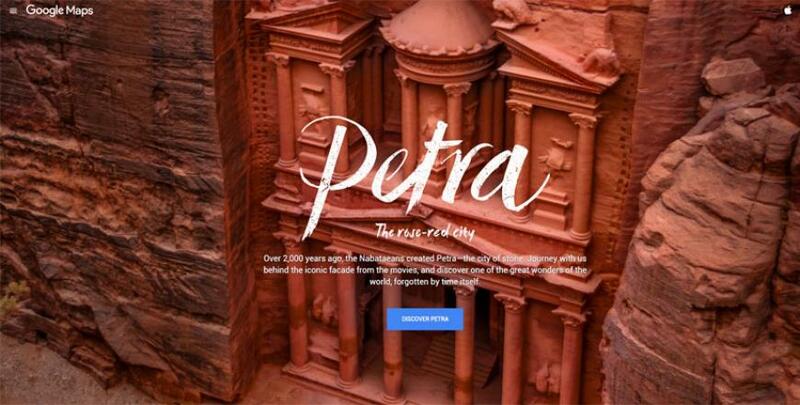 Queen Rania narrated a video tour of Petra and wrote a blog post for Google Blog on the occasion of the launch, announced Monday, of 360-degree street view imagery of the ancient Nabataean city and 30 other landmarks in Jordan for the first time. Street View Special Collects is a feature of Google Maps that lets users explore places around the world like landmarks, natural wonders, and culturally and historically significant sites, the statement said. Today, anyone with an Internet connection can explore the Rose-Red City, the Dead Sea, and the monuments of Jerash, Qasr Al Kharana, Mount Nebo and more. In the blog post, Queen Rania noted that with Google Maps Street View, "people all over the world now have a window into our magical Kingdom in the heart of the Middle East” (googleblog.blogspot.com/2015/11/jordan-street-view.html). Her Majesty’s office worked closely with Google on the initiative. “The Google Street View team tries to go to amazing places around the world because we know that our users love to see them and experience them online,” said Ulf Spitzer, global head of the Google Street View Programme. “Jordan is one of the most spectacular places that we have visited — thanks to the amazing support and warm hospitality that was extended. We hope our imagery conveys all the grace, beauty and deep heritage of the country,” the statement quoted him as saying. To create this imagery, Google used the Trekker, which is a wearable Street View backpack with a camera system on top that is designed to go down footpaths, tracks and narrow pathways to get images of areas of natural beauty or tourist sites. This is the fifth Street View imagery collected of a major landmark in the Middle East and North Africa, after Burj Khalifa in Dubai, the Sheikh Zayed Grand Mosque and the Liwa desert in Abu Dhabi, and the Pyramids of Giza in Egypt. Google Maps Street View began in 2007 and today covers thousands of cities in 72 countries. The programme includes capturing 360-degree imagery of theme parks, university campuses, pedestrian malls, landmarks and zoos. 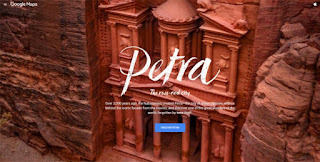 The imagery of the 30 historical sites and other sites is now available on Google Maps and can be viewed on g.co/Jordanhighlights and g.co/Petra.